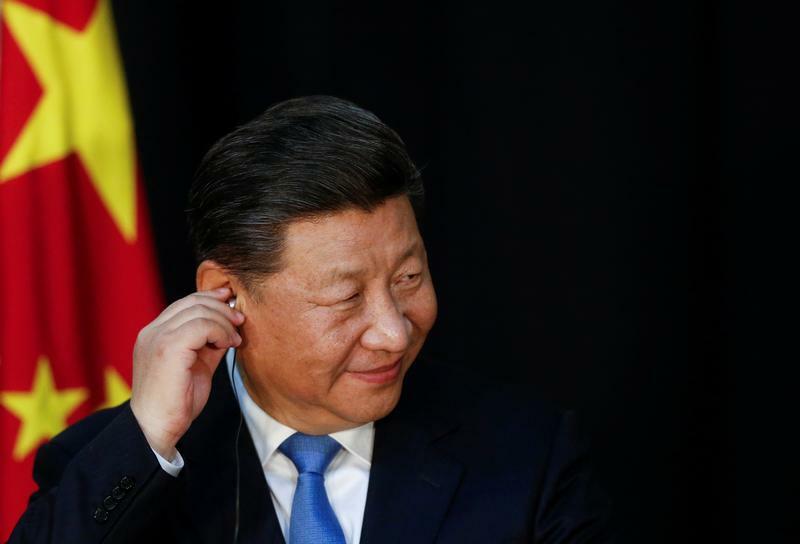 China's President Xi Jinping adjusts his earphone during a news conference with Portuguese President Marcelo Rebelo de Sousa (unseen) in Lisbon, Portugal, December 4, 2018. China’s President Xi Jinping delivered a speech on Dec. 18 to the mark the 40th anniversary of the country’s shift toward a more market-oriented economy. In a nearly 90-minute address, Xi called for continued support to both the state and private sectors, as well as for further liberalisations. He did not offer specific measures, however. Officials at the ceremony also honored several private sector figures, including Alibaba’s Jack Ma and Tencent’s Pony Ma.